I thought I'd share some thoughts I had while reviewing my trading results so far this year. 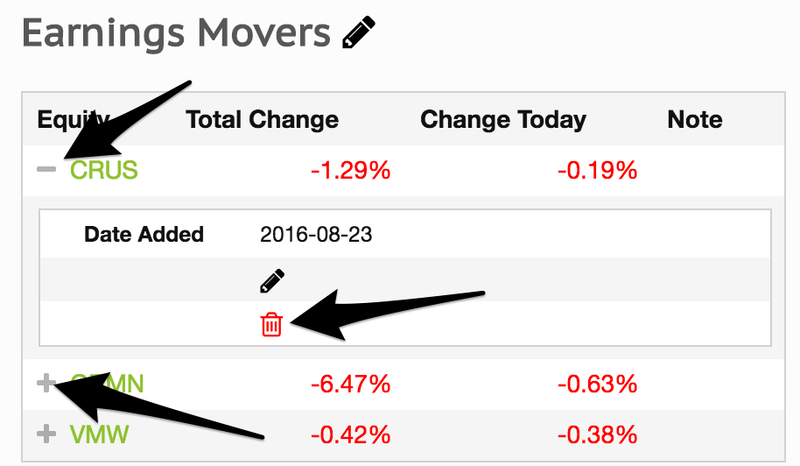 Through today, the end of September 2016, the Nasdaq is up 6.08%, and the S&P is up 7.09% while my swing trading account is up 33.09%. While I'm happy to be outpacing the market by 4.5x, I'm a little disappointed that my account isn't up even more. That's because I know I missed a few trades that could have easily doubled or tripled my gains from where they are now. 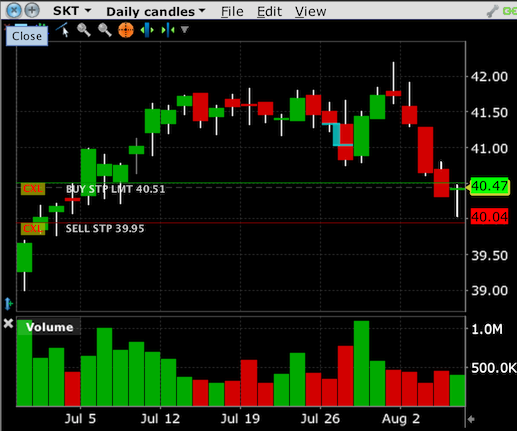 Nonetheless, I feel good that I've mostly stuck to my rules and that I'm still trading with a positive expectancy. Let's take a more detailed look. The dark blue line in chart above is my account and the green line is the S&P 500. What stands out to me when viewing my equity curve is that it's been a pretty orderly rise punctuated by some choppy, sideways action -- and then there was Brexit on June 27th. The primary reason for the sideways periods is that the market itself was chopping around and I try to do less when the market is not trending up or down. 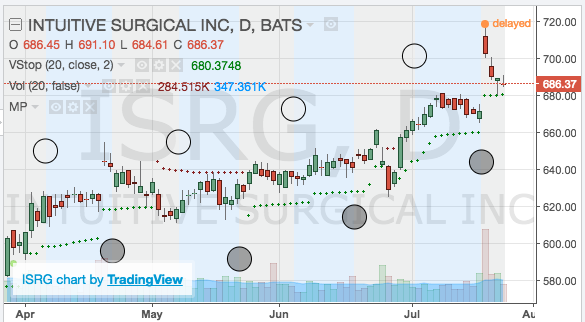 I just made some changes to the way the stock scans are displayed. First, I've moved the "Advanced" scans and combined them with the formerly named "Single Pattern" scans. 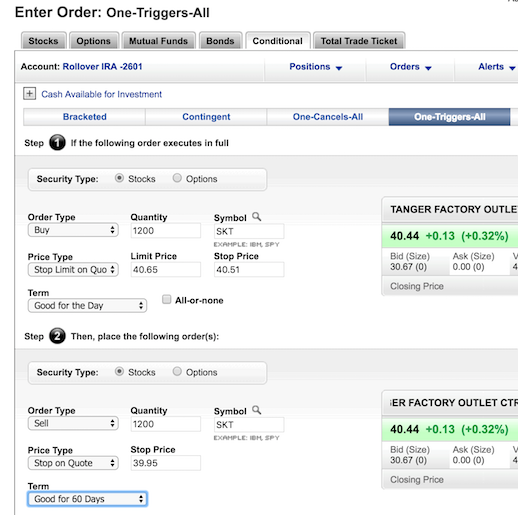 So when you go to the scans page you'll see all of the scans listed along with the number of stocks that triggered for each scan. The former Advanced Scans tab now is now "Scans by Type". I've taken a first crack at applying categories / labels / tags to every scan. Drilling down through the scans via those groupings should make it easier to home in on scans matching your particular style / strategy. FInally, you may have noticed that some of the scans are marked as "Pro" now. People with a Pro (paid) subscription have full access to the results of those scans. If you're not a subscriber, the list of results will be limited for those scans. I have a list of about 10 new Pro scans that I'll be adding over the next several weeks. So stay tuned for those to pop up. People who are subscribed to one of the Pro plans can now specify the default search criteria for all of the scans on this site. I think of this as defining your "tradable universe" of stocks. 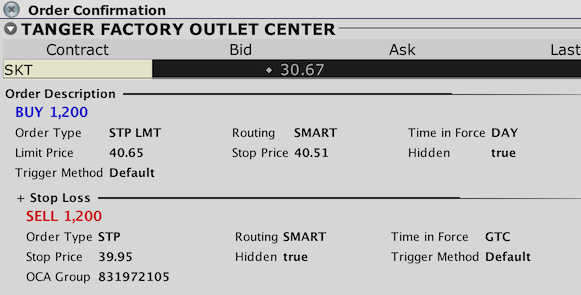 Until now, by default the scan pages loaded with some settings that I chose -- minimum average volume of 250,000, minimum price of $10/share, stocks only -- no ETFs... If you wanted something different, you had to adjust the settings every time you ran a scan. 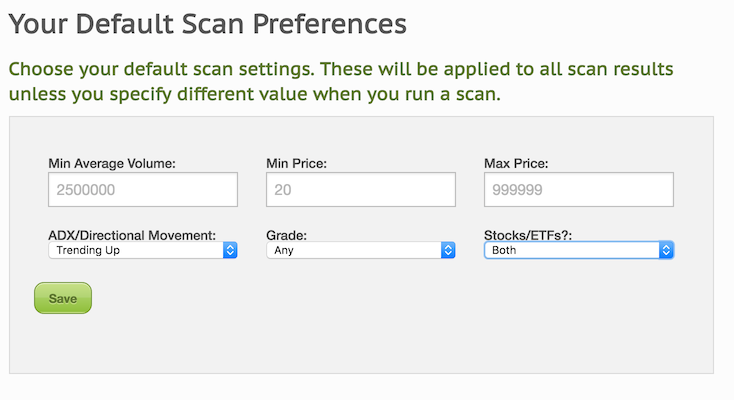 This new feature will allow you to narrow the scan results down to exactly the type of stocks (and/or ETFs) that match what you're comfortable trading. Well now you can set your own default values once and have them applied whenever you load a scan with no parameters. You can reach the 'Scan Preferences' page via the main menu. Go to Account -> Settings -> Scan Filter Settings. You'll be presented with the form below. Just choose the values you want and click save. 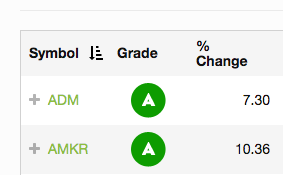 From then on the scan result pages will only show stocks which are in you 'tradable universe'. (Unless you click a link which has different parameters embedded into itself. Some of the links on the site are like that.) You will still be able to manually adjust the parameters if you so choose, just like before. 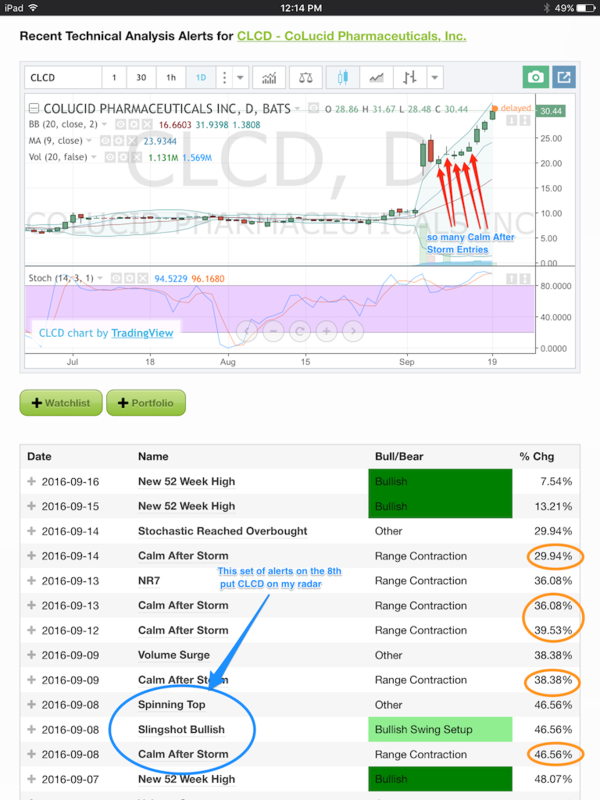 Pro users can now customize the appearance of the stock charts on the indivudual stock pages. 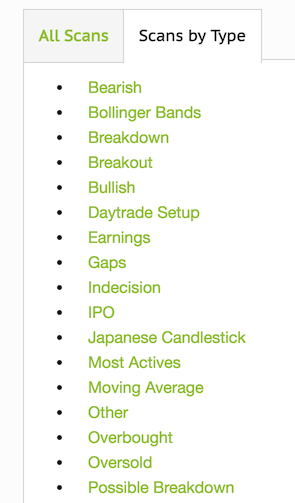 So if you'd like to see the phases of the moon on your chart instead of the default Bollinger Bands, here's how you change the settings.